are very easy and quick to install. 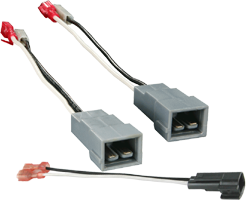 Made from top-quality materials, we carry a wide range of speaker replacement adapters able to withstand extreme temperatures more than perfect for your car audio system. You can find all that here at HalfPriceCarAudio.com where the best is offered at a very affordable price!